Porsche to launch 911 Turbo Cabriolet and Turbo S Cabriolet at the Los Angeles Motor Show in November. Fancy the wind in your hair at 198mph? 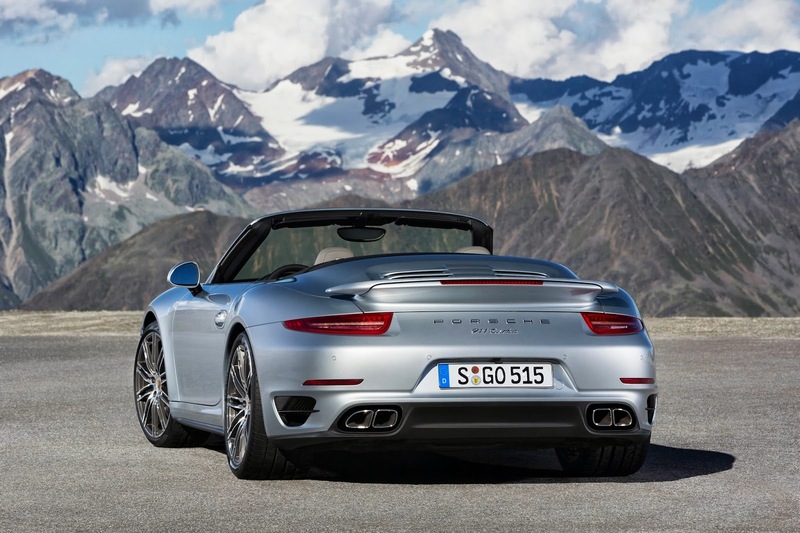 Porsche have the perfect instrument for you - the new 991 Turbo and Turbo S Cabriolet. 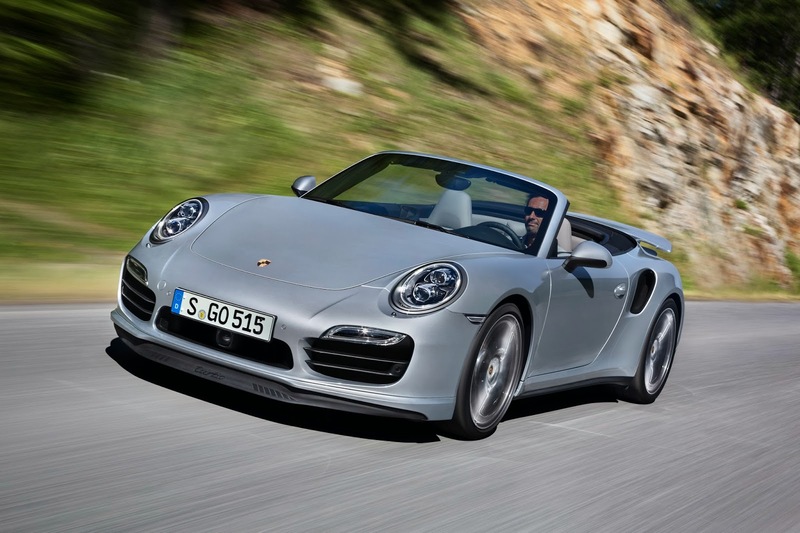 Boasting 520bhp and 560bhp respectively the new 911 Turbos do 0-62mph in 3.5 and 3.2 seconds. 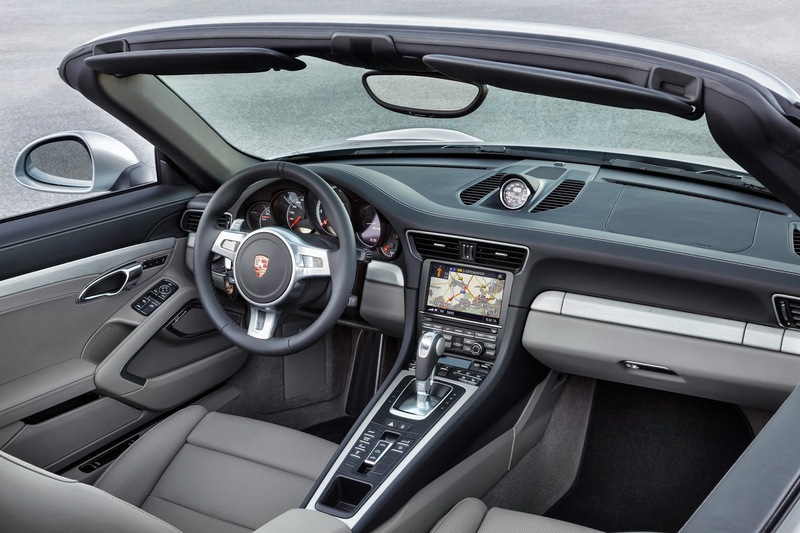 The car comes with the same four wheel steering, PDK gearbox, ceramic brakes and monumentally bonkers performance as the 911 Turbo and Turbo S Coupe. 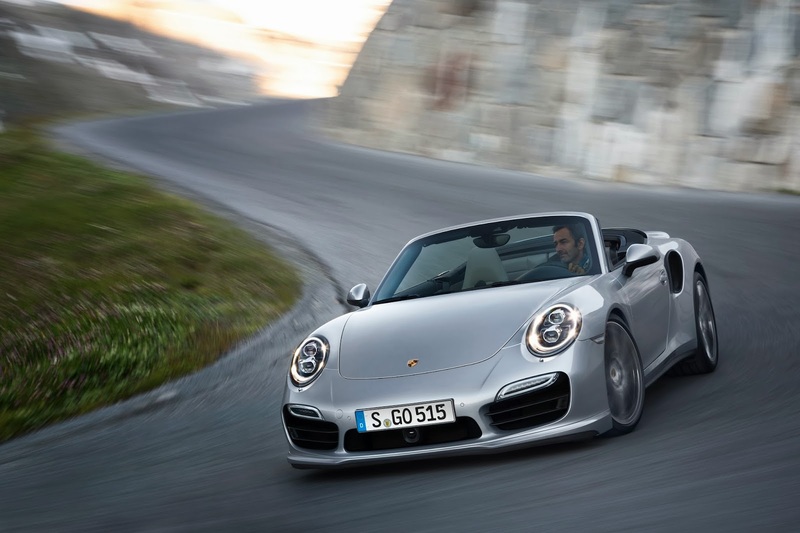 As well as being 30bhp more powerful than the 997 Turbo and Turbo S Cabriolet the 991 models are 30% more efficient with 28.5mpg and 231 g/km of CO2. The hood frame is made from lightweight magnesium which apparently retains the coupe shape when up, although we'll have to wait to see how successful that is because all the photos released show the car with the hood down. They're also pretty obvious photoshop efforts. 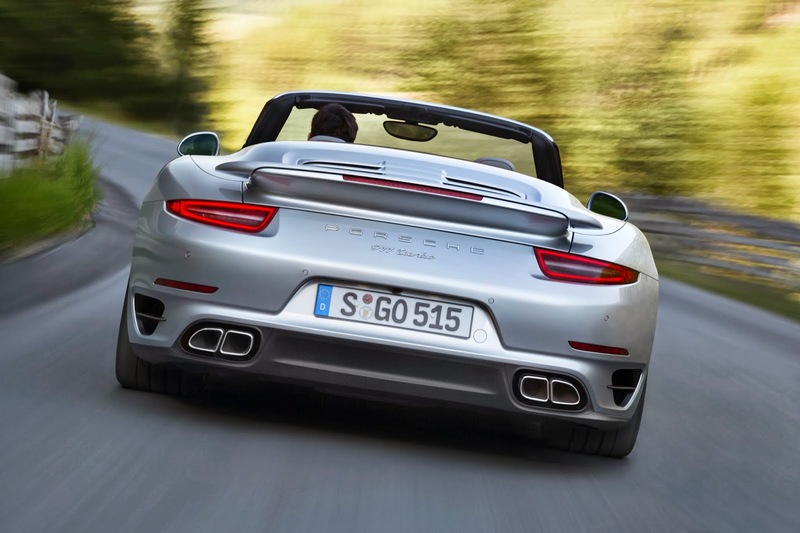 The 911 Turbo Cabriolet gets a fatter rear-end even than the Carrera 4. 28mm wider in fact, presumably to accommodate all that hood, 3.8 litre engine, turbos and associated cooling system. 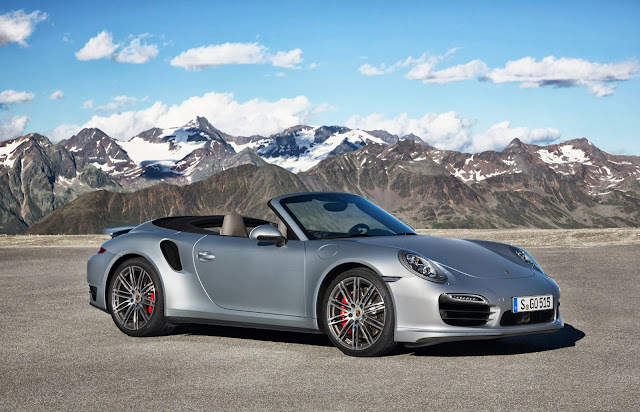 The price for this open-air madness on wheels is €174,431 (£147,200) for the Turbo and €207,989 (£175,600) for the Turbo S. UK and US specific prices will be released in November. 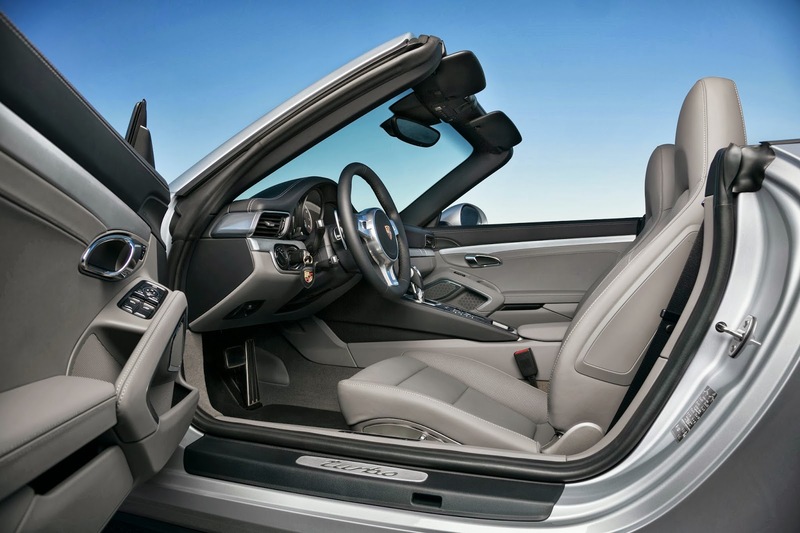 Take a look at the full 911 Turbo Coupe specs here.